Working with Proffit Dixon, Edifice was selected to manage the construction of their latest storage facility project. 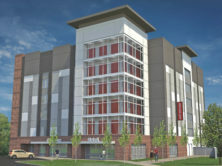 Just east of uptown, this seven (7) story, climate controlled, self-storage facility is in a prime location. 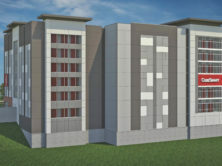 Totaling 128,674 square-feet, this storage facility will offer 1,080 units.